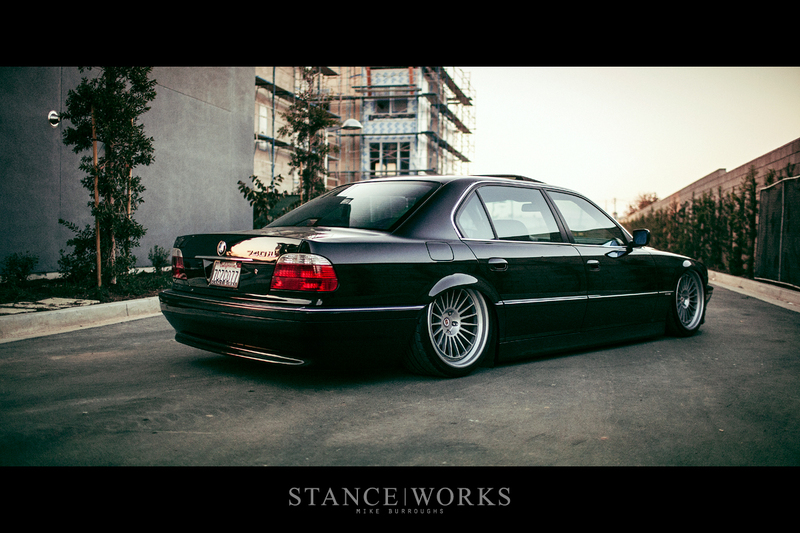 More than two years ago, StanceWorks embarked on its most modern project car to date - a 2000 BMW 740iL, with Jeremy Whittle behind the wheel. 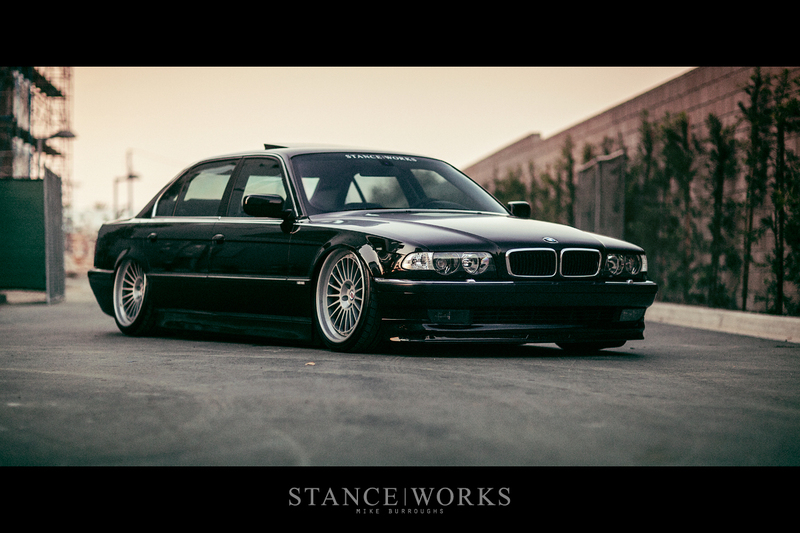 What began as "daily cruiser" quickly evolved, and in time, became what we'd consider might just be one of the best E38s out there, although we're clearly biased. 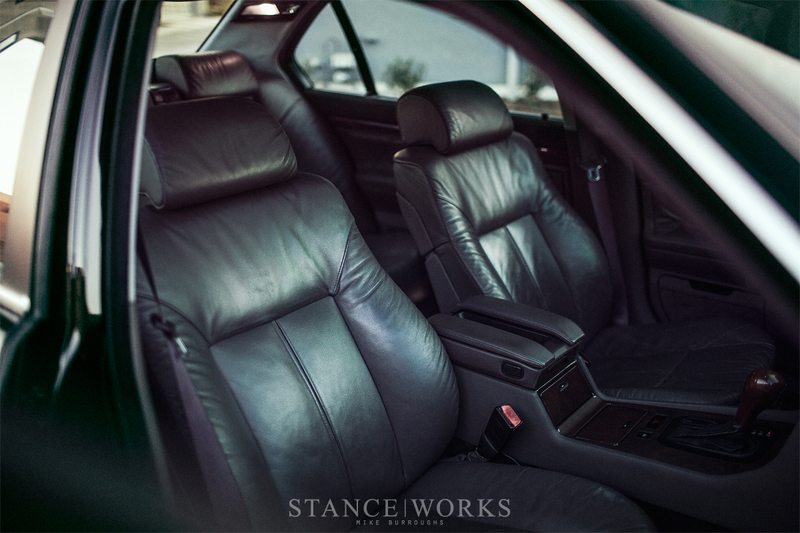 With a slew of photos, and even a video set to a Downtown LA backdrop, the 7-series provided us with content, character, and comfort too - enough room to transport the StanceWorks crew throughout Southern California in Y2K luxury. 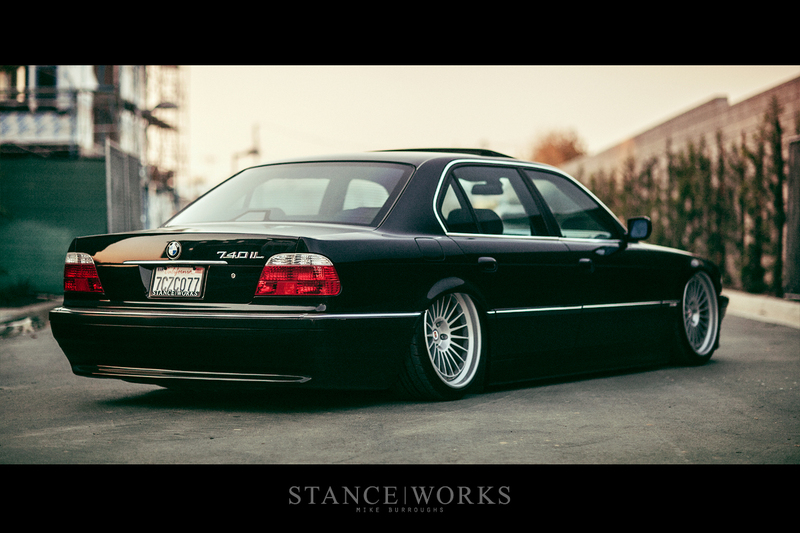 Today, though, we say our goodbyes, as Jeremy's gorgeous build is finally put up for sale. 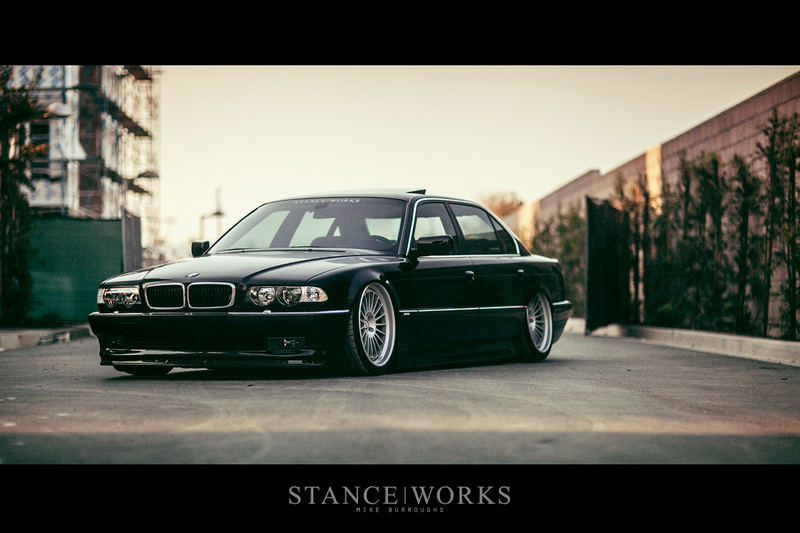 The E38 carries a lengthy story - one that can be enjoyed in its initial feature, "Bruised Egos," from 2014. 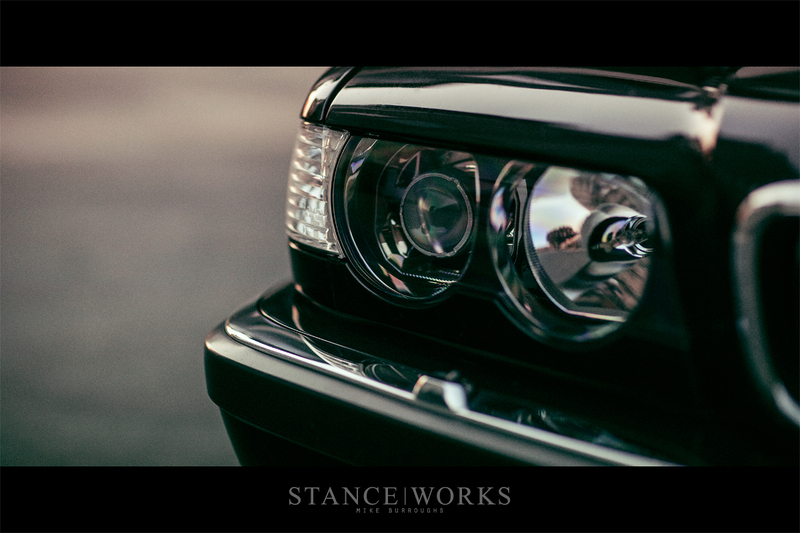 Since we last saw the car in the "Nightfall" video short, not a lot has changed, but that's for the better. The car's gone through refinement, and of course, plenty of maintenance to keep it in tip-top shape, but the final recipe of the car was deemed perfect - no need for change. 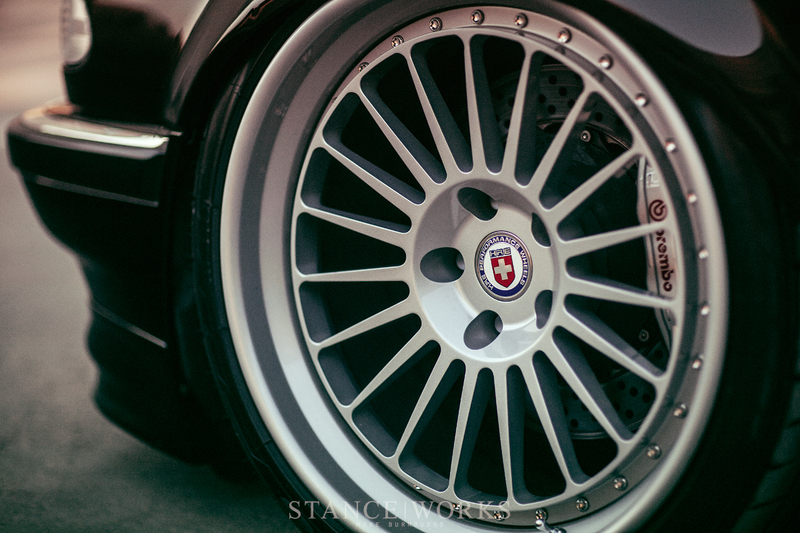 Sitting atop Airlift Performance Suspension with V2 management, and hunkered down over the first-ever set of HRE Classic 309s, the car exudes an unparalleled sense of style, clearly influenced by Alpina, but with a hint of flavor. 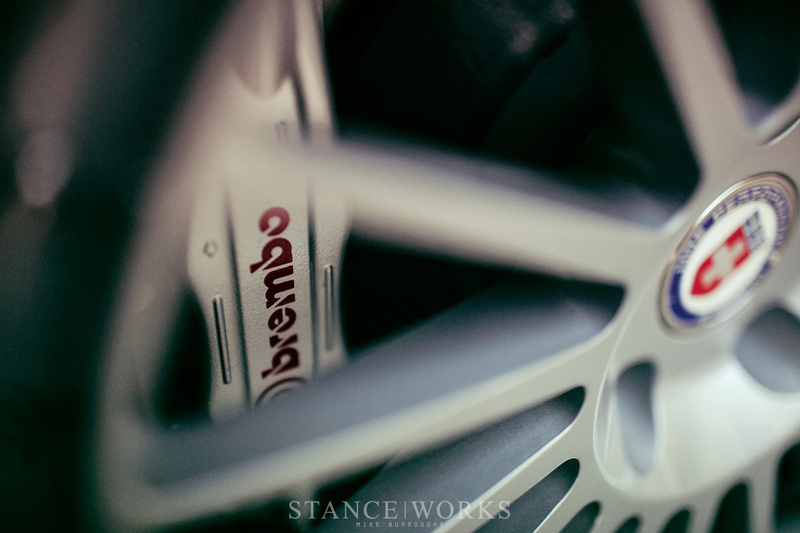 Brembo big brakes stand proud behind the HRE wheels, with matching rotors out back to complete the look. 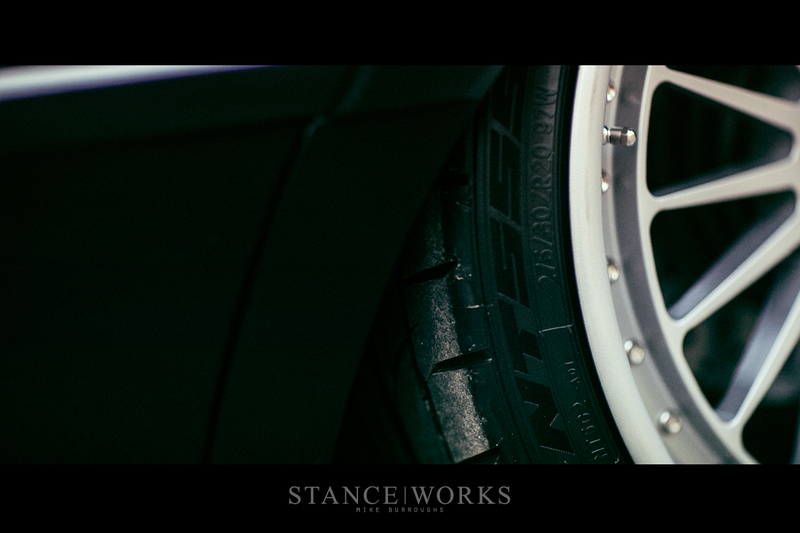 The fresh Nitto NT555 G2 tires balance high performance with comfort and quietness - important in a luxury sedan. 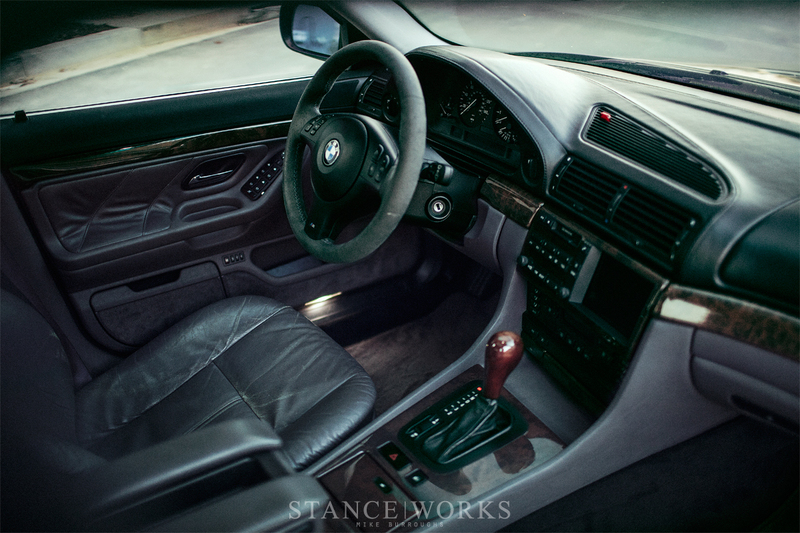 Inside, the car sports an OEM Lavendergrau (purple) interior, with 750iL leather trimmings and accessories, as well as an E46 M3 Alcantara sport steering wheel. All of the interior tidbits are protected by a ceramic tint, which covers all of the factory glass, including the moonroof. The atypical combo of black-over-purple is both unique and subtle, bringing about a unique sense of character and taste while maintaining a factory aesthetic. Maintaining the car has been a top priority for Jeremy, in an effort to preserve everything the car was when it rolled off the line in 1999. 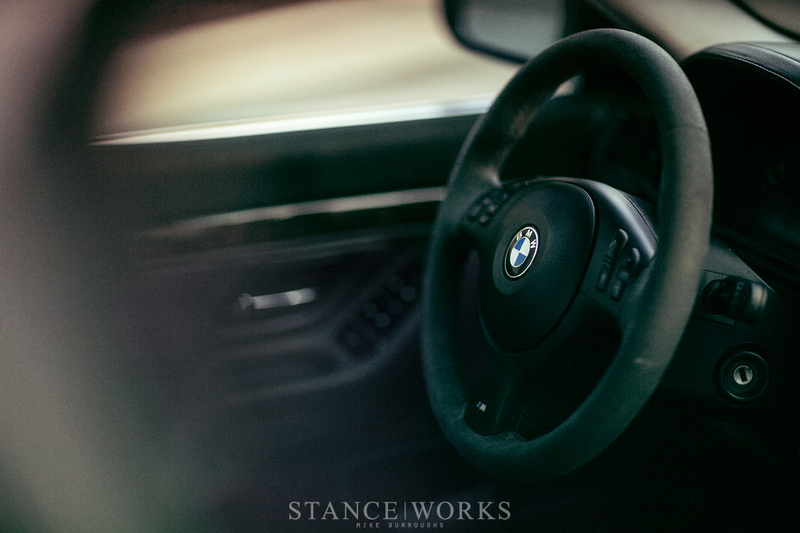 From suspension components to engine maintenance, we'd be hard pressed to point to a better example. 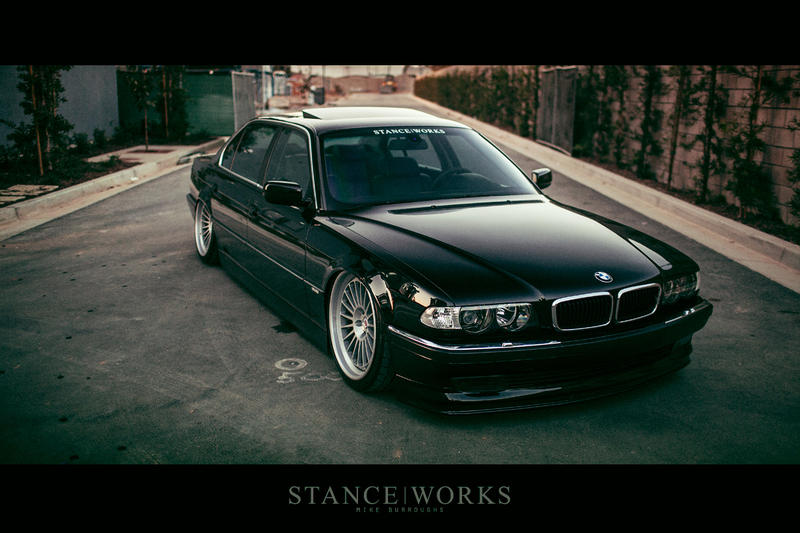 And with that, we can congratulate Jeremy on a job well done - the car is easily a favorite when it comes to BMW's luxury sedans, and we were glad to be a part of the build. For those interested in the car, be sure to keep an eye out as it heads to the classifieds soon... and keep an eye out for whatever Jeremy Whittle cooks up next. I am in the process of putting together a full for sale post soon, but those interested in the car can reach me at 404-432-8859 until then. Bittersweet for sure, it’s been an absolute joy to own.